Natalie from Fleishman Hillard South Africa extended an invitation for me to be out and about at the Good Food and Wine Show on behalf of TLC Entertainment. The invitation was for me to attend a question and answer session with Buddy Valastro better known as The Cake Boss. 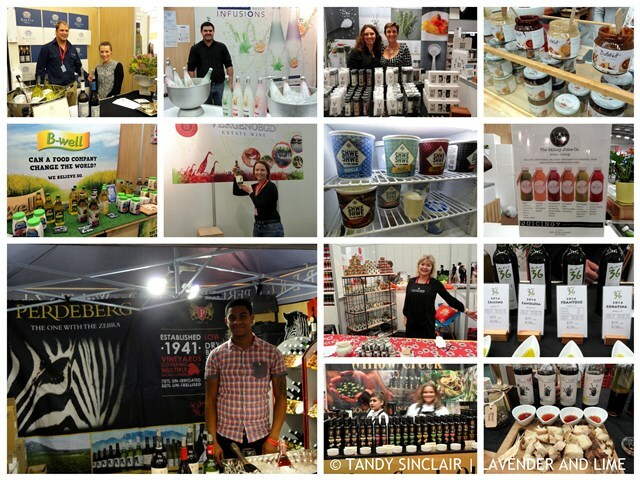 I decided to arrive at 10am, as the doors opened, and take advantage of the media pass to visit a few stands and sample local products before the hordes arrived. I was able to spend quality time with some local producers and I have showcased the ones I thought were worth supporting. If you need any information on them, please don’t hesitate to ask. In the order I visited the stands – Baleia Bay Wines and Olive Oil; Vergenoegd Wine Estate; Infusions (I bought a bottle of their pomegranate and rose pinotage infusion); Perdeberg, Flavour Union Truffle Products; Rozendal Vinegars (I sell their products and they are amazing); Portion 36 Olive Oil (I bought the Frantoio oil as I loved the peppery notes); Willow Creek Olive Oil; Oryx Desert Salt (another product range I sell); The Skinny Juice Co.; ButtaNut (again, a product I sell); Shwe Shwe Ice Cream; B-Well Oil (since being sent their oil, I have started using their canola oil #InMyKitchen). Not in the photograph is Moro – the best gelato you will taste in South Africa. I had fig and ricotta for breakfast, with a tiny bit of pistachio! The highlight for me was being able to listen to Buddy Valastro talk so humbly about his show, his family and his love of cake. Buddy likes to take inspiration from what he sees everyday and uses the international flavours of the places he has travelled to. On this visit to Cape Town he had mielie pap for the first time ever, and he thinks that milk tart is awesome. He bought his son Buddy with him on this visit so that he too could experience the wonders of Table Mountain. In the question and answer session, the media were given the opportunity to ask Buddy questions and I asked him if he could only have one piping nozzle tip, which one would it be? He found the question difficult to answer but eventually decided it would be a rose tip. I am going to have to get that one out and practice using it. Its fantastic to listen how the king of cakes is given a box cake each year, made by his wife and kids, and how that cake means more to him than anything else. The point of this session with Buddy was to announce The Next Great Presenter. The search for TLC’s Next Great Presenter will begin with a call-to-action for viewers to submit video clips of their presenting skills explaining why they should be chosen. A panel of experts will whittle down a shortlist, but it will be up to the TLC viewers to choose the lucky winner who will get the chance to present TLC Top 10 – a brand new series coming to TLC later this year, which celebrates the biggest and most popular shows that have broadcast on the channel since it launched in South Africa in 2011. If you think you have what it takes, be sure to stay tuned to TLC Entertainment (channel 172 on DSTV). Buddy’s tip for aspiring presenters is to be yourself, don’t forget your roots and be who you are – good, bad or indifferent. 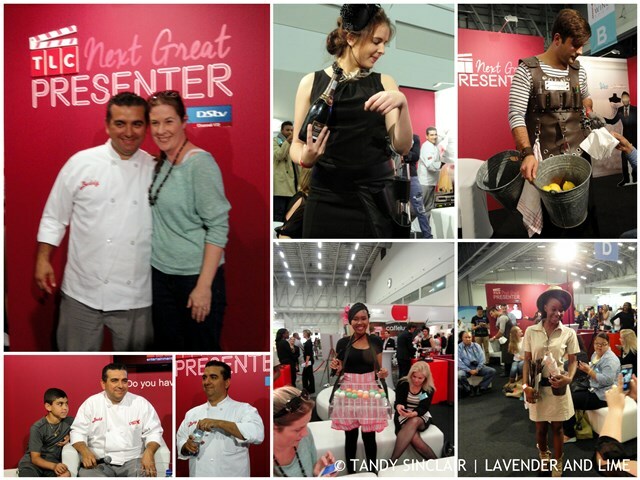 Disclosure: I was invited to the Good Food and Wine Show to attend a Q&A session with Buddy Valastro. The invitation was not based on me writing a blog post. This post is in line with my blogging policy. What a great memory! Thanks for sharing this experience Tandy. You Q&A session sounded really fun! All I can say is that the line outside Buddy’s bakery was insane, very popular when we were in NYC last. But it was fun. Really enjoy that show. I am sure people are queuing up just to see him! This is so fun!! What a blast!! Looks like a great time! Thanks for sharing!! 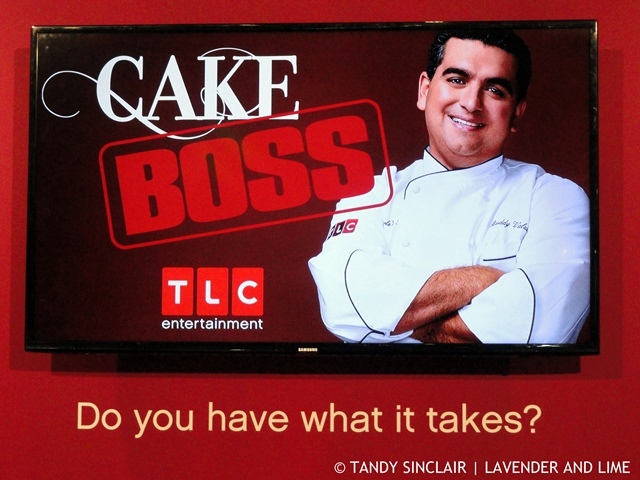 Hi Tandy, the Food and Wine show sounds like a great event, love the cake boss! How cool is that! I love Buddy and his creativity. I never knew how much work went into making a cake until I watched his show. How great to meet Buddy – have watched him often on SKY and while I am not a baker I do love to see some of their creations. Wow Tandy – this sounds like such a wonderful experience! I am a huge fan of Buddy Valastro! He is so down to earth it is fantastic!